Thomas Fairfax, 3rd Baron Cameron; the marriage of his daughter, Mary, with the second Duke of Buckingham probably saved Buckingham's life during the Commonwealth, and later saved Fairfax from being executed as a regicide. Helmsley, in the Ryedale area of North Yorkshire, is adjacent to Rievaulx Abbey and the ancient natural racecourse at Hambleton. For generations the estate belonged to the Manners family who were later the Earls and Dukes of Rutland, with a main residence at Belvoir Castle in Rutlandshire. The Rutlands were prolific breeders of hobby horses; the origins of this breed are obscure but probably had ancestors in the Irish Hobby with Barb influences. There is an early reference to Rutland "hobbies" in 1596 recording his Lordship's racing victory in the Forest of Galtres (just north of York). Mackay-Smith differentiates between hobby horses at Helmsley and running horses at Sedbury. In Yorkshire the term Galloway is used with reference to the size of the horse, rather than its origins. 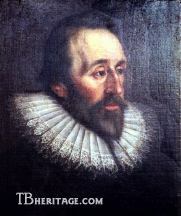 George Villiers, 1st Duke of Buckingham (1592-1628), was the second son of Sir George Villiers of Brooksby in Leicestershire, of solid gentry stock, "...rather without obscurity than with any great lustre." He had acquired exceptional skills in horsemanship from continental travel. He had the good fortune to attract the attention of James 1st, who was susceptible to handsome young men. He became politically immensely powerful and was appointed Master of the Horse in 1616 and Duke of Buckingham in 1623. He married Katharine Manners, the daughter of the 6th Earl of Rutland and one of the wealthiest women in England. 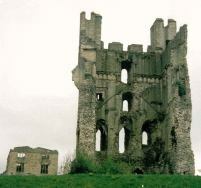 As part of the marriage settlement he received the Helmsley estate. Villiers imported large numbers of foreign horses, particularly from Spain and Italy, which found their place in the Royal Stud at Tutbury in Staffordshire, but also at Helmsley, where they were interbred with the Rutland stock. The Royal Studs under James I became the responsibility of Villiers and examination of the lists which exist for 1624 and 1628, following his assassination by John Buck, show the extent of his foreign imports. 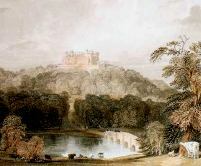 Buckingham from his position of power could send them where he wished, not only to Royal Studs, but also to his own estates, including Burley-on-the-Hill (near Oakham, Rutland), and those of his friends. This is almost certainly the case with the horses at stud on the Buckingham estate at Helmsley and probably accounts for some of the stock at nearby Hornby Castle owned by the D'Arcys. The horse, Grey George (presumably named after Villiers), originally at Tutbury was later found at Sedbury. Buckingham himself, however, played little part in the care of the Helmsley Stud and was probably more interested in courtly dressage than racing. It is likely that Katharine Manners continued the Rutland's interest in racehorses and was the main driving force. This was in conjunction with the local Hesseltine family of grooms which was important to Yorkshire racing for several centuries. Later horses on the estate were central to the evolution of the Thoroughbred, probably by the interbreeding Buckingham's Spanish imports with the pre-existing Rutland bred hobby horses and Galloways. After George Villiers' assassination in 1628 his son, the younger George Villiers (1628-1687), 2nd Duke of Buckingham, was brought up with the Royal family and so was on intimate terms with the Prince of Wales, later Charles II. As part of his inheritance he obtained the Helmsley estate and stud, though it seems likely, particularly during his minority, his mother and the Hesseltine family remained in charge. During this period Old Bald Peg was foaled in about 1635. In the 20th century, Lady Wentworth examined the historical pedigrees of Thoroughbreds and concluded the genetic weight of Old Bald Peg exceeded that of the three imported tail male stallions (Darley Arabian,Byerley Turk,Godolphin Arabian), and was present in most modern Thoroughbreds. Recent mtDNA work, has, however, challenged this major foundation role. During the Commonwealth, in 1651, Helmsley was given to Thomas Lord Fairfax (1612-1671), leader of the Parliamentary Army. This was as an acknowledgement of his Civil War services and as "as a salve for a bad wound" he had received during the siege of Helmsley Castle in 1644. Fairfax himself was interested in horse breeding and appears to have cared for the Buckingham stud and may have added to it with further imports. He wrote a treatise on breeding, though it was mainly concerned with military bloodstock. Old Bald Peg was crossed with the Fairfax Morocco Barb during this time to produce Old Peg the dam of Spanker. 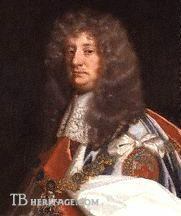 Fairfax was known locally as "Black Tom" as he was one of the few northern aristocrats to support the Parliamentary cause. Nevertheless, he was a modest man who was opposed to the execution of Charles I. 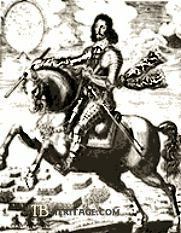 He later developed a good relationship with the restored Charles II and provided the monarch with a horse to be ridden at his coronation ‚ supposedly out of the horse he rode at the Battle of Naseby. Like his father, George Villiers contracted a convenient marriage. This time the marriage was to Fairfax's only daughter, Mary, in 1657, enabling him to regain the Helmsley estates. On taking over, George Villiers found himself in the possession of some outstanding breeding stock that became the foundation of the General Stud Book (GSB). These included The Helmsley Turk. His father-in-law, Fairfax, retired to Nun Appleton, and died where he was born, at Denton, near Otley (West Riding), in 1671; the ancestral Fairfax castle at Denton burned around 1700, was reconstructed, and was later replaced by a Carr-designed mansion for the Ibbetson family. Villiers was a member of the Cabal Government under Charles II, but his increasingly wild behaviour led to a final rift with the King, and he retreated to the Helmsley estate in 1686, living in the castle, which was barely habitable after the ravages of the Civil War. He died following a riding accident near Kirkby Moorside in 1687. After his death the estate was sold to recover debts and passed into the banking family of Duncombe (later Lords Feversham). The wealthy Duncombes built a new house a little distance from the castle. They also took an interest in Yorkshire horse racing, but the fruitful days of breeding at Helmsley had come to an end, with the focus moving to the D'Arcy family and its associates in the Sedbury area.